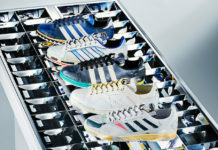 Raf Simmons and adidas Originals have collaborated time and time again while the end result is more often than not, a instant classic. 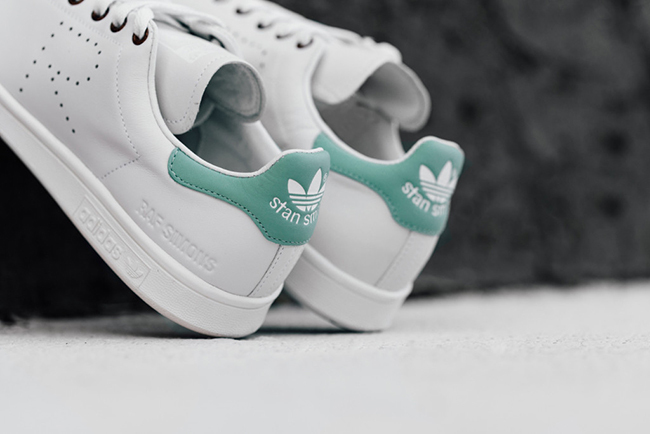 The two are back again, this time around using the adidas Stan Smith that comes in ‘Blush Green’. 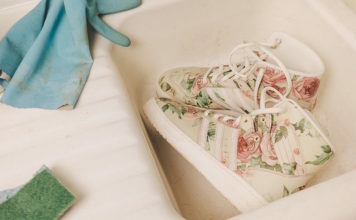 This Spring and Summer time look is achieved by Predominate White streaming through the leather uppers. 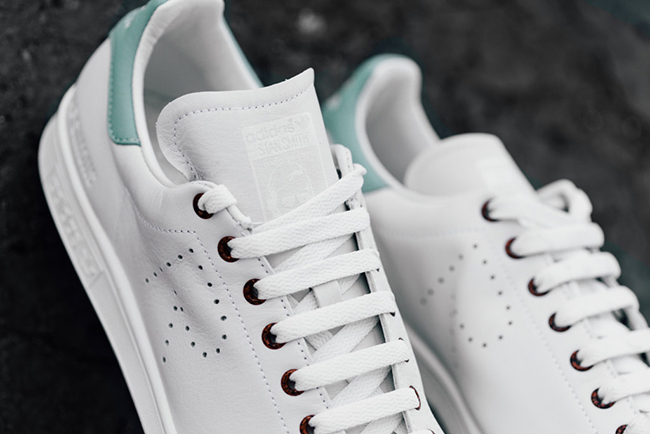 Blue Green is then used on the heel tab with Stan Smith branding. A large R is then perforated into the side panels which is used instead of the three stripes logo. 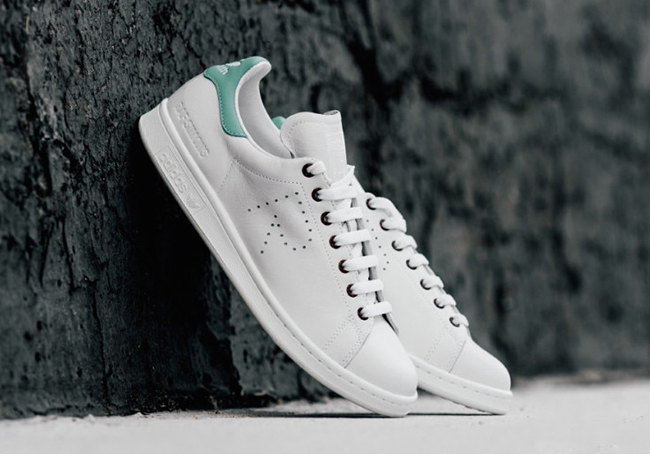 See below for additional photos of the Raf Simmons x adidas Stan Smith ‘Blush Green’ release. 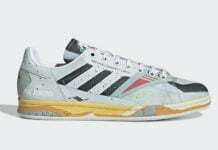 As of now, this pair is starting to hit retailers which includes none other than Feature. 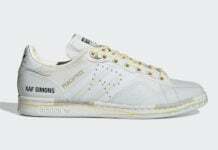 Retail price is set at $455 USD and at the time of writing, 8 through 12 and most 1/2 sizes are still available. Just in-case your size isn’t listed, additional locations should have them available very soon.